The Great Canadian Landscaping Company has been in business for over 17 years on the North Shore. With a staff of 55+, we are a leader in designing, maintaining and installing award winning landscapes. We deliver great landscaping services every time through our qualified and experienced crews who specialize in lawn & garden maintenance, garden installs & renovations, turf and synthetic turf installs, irrigation, landscape lighting, fence & deck installs, retaining walls, paving stone and natural stone installs, outdoor kitchens, outdoor living spaces, landscape design and more. 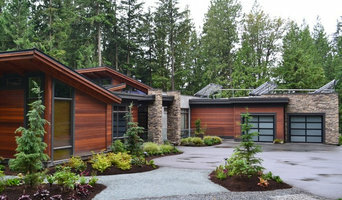 We serve residential properties in North and West Vancouver, Vancouver and the Sea to Sky Corridor. We service commercial & strata properties in the greater Vancouver area, North Shore and Sea to Sky Corridor. Founded in 2000, The Great Canadian Landscaping Company’s main objective was to provide quality landscape & construction services and develop a business with core values based on community & culture. Our purpose is to develop our community with our ‘Buy Local’ program whenever possible and give back to local organization’s in need of extra assistance. The overall goal is to become a leader in the local areas we serve and change the way the landscaping industry operates. We are a one stop business that can handle any job requested. GCLC can manage and organize all trades that are required to complete a project on the outside of any home, strata or commercial business. No job is to big or small for our skilled team. A great landscape starts with a well planned landscaping project or well executed maintenance program. This will add substantial value to your home and everyday life. The team at The Great Canadian Landscaping Company has the ability to deliver innovative design, produce quality workmanship and deliver complete customer satisfaction for any Landscape Project from commencement to completion. For more info visit us at www.gclc.ca or call 604-924-5296 to book your on site consultation today. 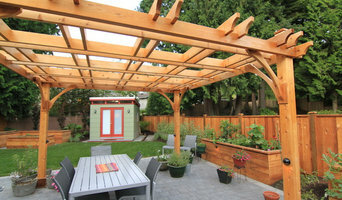 We are a family owned and operated landscaping company serving the greater Metro Vancouver area. We have over 15 years experience in the landscape construction industry and with this we can create your ideal outdoor living space. Landscape install and horticulture company, we deliver on what we promise consistent and precise estimates, delivery of projects on budget every time. We have over 18 years of professional experience in high quality Landscaping/Hardscape & Softscape, Concrete .Artificial Turf , Carpentry and Painting. Our company focuses on providing quality work on individual basis so we can meet every client's unique needs. 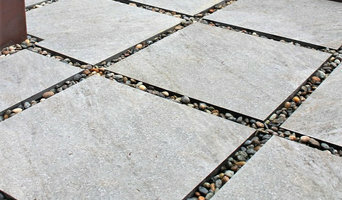 Number one choice for custom hand-made artificial rock waterfalls, water features, and fountains for gardens in BC. WaterfallNow builds custom waterfalls for custom homes. Transforming any ordinary yard into a luxury resort style paradise. Specialties Custom Waterfalls, fountains, and water features Home waterfall Garden waterfall Landscape waterfall Bar drink display fountain Water feature Fountain LED Waterfall Wall fountain Water walls premade fountain free standing fountain home decor Floor waterfall Wall mounted waterfall fountain Garden fountain bubble walls rain curtains reflecting pool custom swimming pools custom fiberglass we do landscaping for water features specifically WaterfallNow builds custom indoor fountains, garden waterfalls, custom water features for residential and commercial properties. 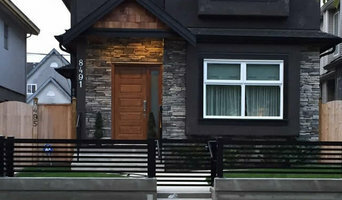 Our contractors and partners have over 60 years of combined experience BBB Accredited Greater Vancouver Home Builders Association GVHBA Canadian Home Builders Association CHBA Serving: Surrey, New Westminster, Richmond, Burnaby, Coquitlam, Port Moody, Horseshoe Bay, White Rock, Langley, Delta, Abbotsford, Vancouver, North Vancouver, West Vancouver, Lower Mainland, British Columbia, Canada. indoor and outdoor waterfalls indoor and outdoor fountains indoor and outdoor water features water features vancouver water features surrey water features burnaby water features richmond water features white rock water features canada History Established in 2014. We started this business in 2014 to help the under served market of residential custom water features. Traditionally, custom water features, fountains, indoor waterfalls or luxury artificial rock waterfall art is found on commercial properties. We wanted to bring that option to the high end homeowner that wants to decorate their interior or outdoor garden. If you want a 25 foot high frameless glass waterfall in your entryway, a faux fiberglass GFRC style rock waterfall by for the swimming pool, a reflecting pool, or other landscape water feature we can build it. Landscape Construction Company. Superior Quality. No Exceptions. 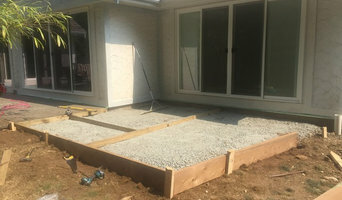 GARFY GARDENS & LANDSCAPING is a family owned business and one of the fast growing landscaping companies serving the Vancouver Lower mainland and the Fraser Valley areas in British Columbia. We have been in operation since 2008, we began our operations in the Fencing industry, building custom fences and installing prefabricated style panels. With the ever growing real estate market, we saw the opportunity to venture into other landscaping services to meet the increasing demands of today's home owners. We have now established a Niche in fencing and landscape designs and construction of dream-scapes, we transform home exteriors to magnificent outdoor living spaces. Ace Link Fence Ltd. is a family-owned fencing company that provides emergency fence repairs and fence installation for private and commercial customers in Surrey and all Lower Mainland cities. Our primary goal is to fulfill what our customers are looking for. We do excellence, quality jobs that satisfy our customers. We strive to bring you the best service and best prices. We work to fit your needs -whether keeping something out or in, improving your security and privacy or repairing your damaged fence - we will provide the best solutions for you at an affordable price within your budget. QS Fencing Ltd. is a family-owned fencing company that provides metal fences, gates, and railing installations for private and commercial customers across Vancouver Lower Mainland. We also provide 24/7 emergency repairs for metal fences and gates. It is our business philosophy that quality and security go hand-in-hand in building a reliable fence. Our knowledge, resources and affordable prices cannot be beaten by our competition. *Free Estimates on all services except for Automation Gate Repairs. GateTech Automation International is one of the largest and most trusted driveway gate manufacturing companies. We have been operating for over 20 years and are known for, and committed to, providing excellent service, quality products and professional workmanship to each and every customer. Our products ensure safety, security, and affordability with the presence of lasting elegance and peace of mind. All City Fencing has been a custom fence builder throughout the Lower Mainland since 2006 with a great number of satisfied customers. With our selection of Cedar fencing, Vinyl fencing, Concrete fencing, Chain-link Fencing, and Aluminum Fencing, our clients can choose a style that fits their budget and vision.